StatenStrong is a community outreach program devoted to strengthening the community of Staten Island, NY created in immediate response to Hurricane Sandy in 2012. 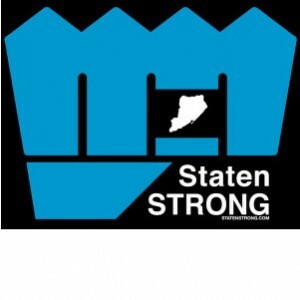 A portion of the proceeds from the sale of StatenStrong apparel will go back to support the Staten Island, NY community. – Donated over $40,000 in emergency assistance. – Helped build a lawn care program for the elderly, physically disabled and those in times of financial difficulties. – Launched an ongoing Target gift card program to those in need of household items, food, etc. The mission of A Very Special Place is to empower people with intellectual and developmental disabilities to lead fuller lives through comprehensive programs and services offering guidance, support, and opportunities for achieving independence, self-fulfillment and full community inclusion. A Very Special Place, Inc. was established in 1974 as a not-for-profit organization that provides programs and services to people with intellectual and developmental disabilities. The primary goal of A Very Special Place is to help every program participant achieve their fullest potential through individually tailored services and programs that are designed to meet the specific needs of each individual and their family. Through a system of comprehensive, yet individually tailored programs, participants and their families are assisted in meeting immediate needs, as well as in planning for the future. Today over 1,000 Staten Islanders with intellectual and developmental disabilities and their families utilize offerings including employment training and recreational services at the agency. Louie’s Legacy Animal Rescue, Inc., non-profit and no kill, located in Staten Island, NY and Cincinnati, OH, aims to alleviate the suffering of abandoned shelter animals by rescuing, rehabilitating and re-homing them within our community. We are proudly foster based, meaning our animals live in homes, not shelters. This differentiates us and allows us to more thoroughly get to know our animals, ensuring they are matched with suitable, screened adoptive homes which meet our high standards. As part of our commitment to the health and well-being of all of our animals and to reduce pet overpopulation in our community, every pet is spayed or neutered prior to adoption. We are committed to ensuring the safety of our animals for their entire lifetimes so that they will never suffer abuse, neglect or abandonment again. – Granted $20,000 to their Staten Island operations and for rescued animals medical care. The Humane Society of the United States is the nation’s largest animal protection organization, rated the most effective by its peers. Since 1954, The HSUS has been fighting for the protection of all animals through advocacy, education and hands-on programs. The HSUS and their affiliates rescue and care for tens of thousands of animals each year, but their primary mission is to prevent cruelty before it occurs. The HSUS seeks a humane and sustainable world for all animals—a world that will also benefit people. They are America’s mainstream force against cruelty, exploitation and neglect, as well as the most trusted voice extolling the human-animal bond. – Public ambassador for the International Street Dog Defender program. – Collaborated with Represent.com to create a shirt for sale of which a portion of the proceeds goes to Humane Society International’s “Street Dog Defender” Campaign which works to improve the lives of these street dogs by providing services like spay/neuter surgeries and vaccination programs. Boot Campaign is dedicated to promoting patriotism for America and our military community; raising awareness of the unique challenges service members face during and post-service; and providing assistance to military personnel, past and present, and their families. 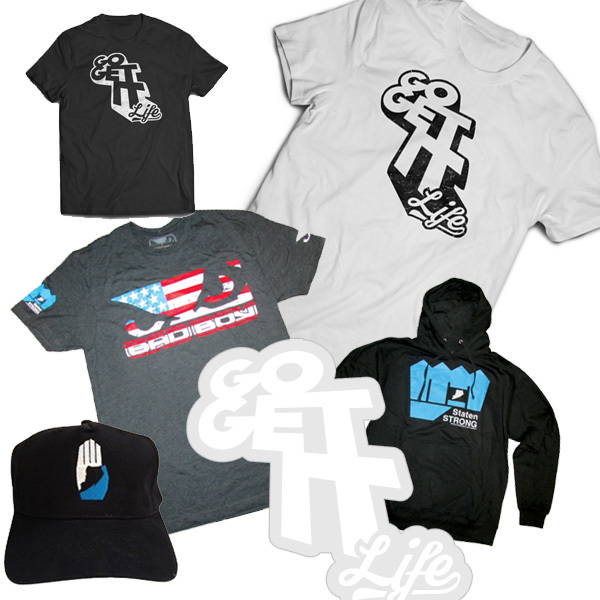 Retail sales of combat boots, apparel and mission-focused merchandise, general public donations and corporate sponsorships fund programs that support military families. These efforts extend to all generations of military personnel who endure significant physical, emotional and circumstantial hardships resulting from their service and sacrifice. – Donated $50,000 to provide housing grants to military families in need.